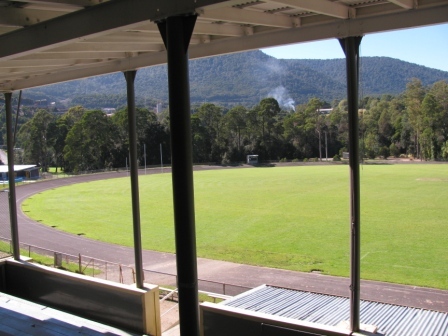 The beautiful Rosebery ground, on Tasmania’s west coast, is home to Rosebery-Toorak. ‘The ground’s right smack in the middle of a rainforest,’ said Bill Walker. The Hawks were formed in 1987, through the merger of a mining town clubs Toorak (Tigers) and Rosebery (Saints). This year the Hawks just missed out on finals action, finishing seventh (on percentage) in the nine-team NWFA competition. 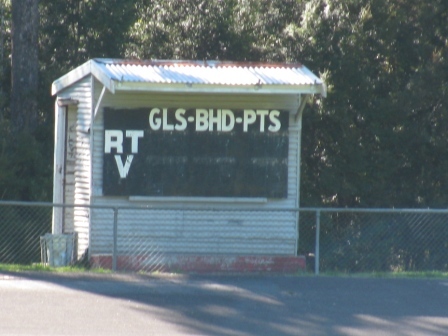 In the 2003 book Beyond the Big Sticks, journalist and football historian Paul Daffey noted: ‘Visitors to the Rosebery oval in western Tasmania once thought the ground was built on a sewage farm. Pipes beneath the oval drained water into the Stitt River, which runs behind the ground. This river was the main outlet for the town sewage. Sometimes the river flooded, and the water, bearing sewage, was pushed along the pipes before settling beneath the oval. The term ‘foul conditions’ had strong resonance at Rosebery. Opposition players would walk off after the final siren and discard their shorts in the river. Bill Walker is a regular contributor to The Footy Almanac’s website and annual book Under the pseudonym of Phantom). He claims he was ‘cruelly overlooked’ by VFL scouts when they took Brent Croswell from his Launceston school. Bill went on to play in three premierships with Old Scotch B-grade in the early 1980s. A mate and I arrived just before half time to see the Hawks play visiting Sprent Tigers. The score was something like 15.8.98 to 0.1.1 and for the life of us we could not work out how Sprent had managed a point. They would literally not get a possession in a quarter, apart for doomed kickouts after behinds. Missed this one Vin. What a place to play footy! Love the scoreboard’s simplicity. Wouldn’t mind sitting in the grandstand with a pie, thermos and knitted blanket over my knees, watching the slog in the mud. Also, what a great book ‘Beyond the Big Sticks’ is.